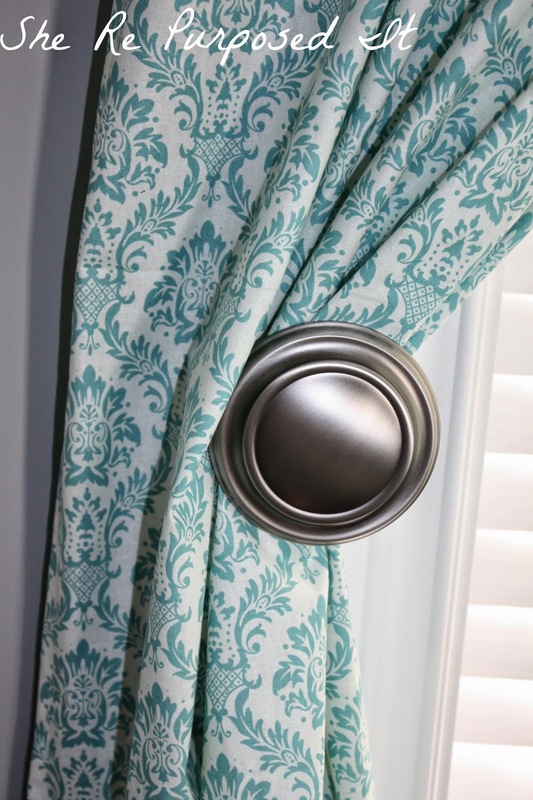 She Re-Purposed It: Homemade Curtains- On A Budget! 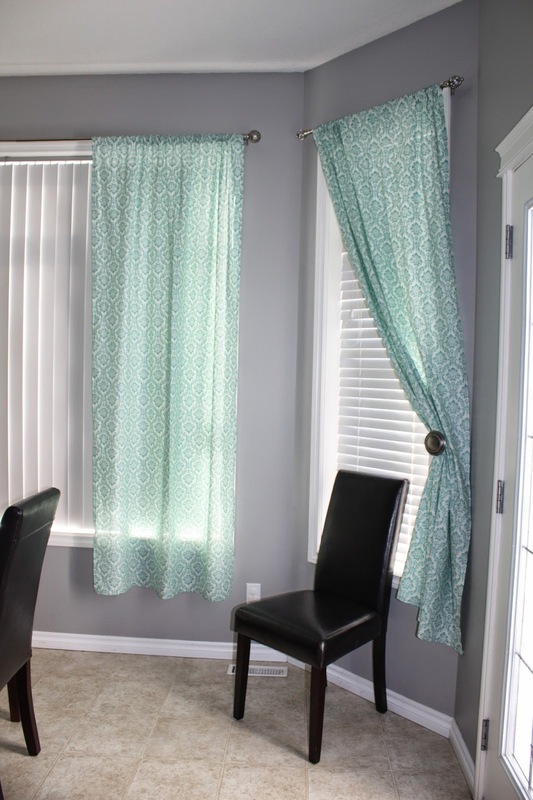 Homemade Curtains- On A Budget! Hello there! Thank you for dropping by. Today were going to talk curtains. Have you looked at the price of those things lately?? I wanted to add curtains to our dining room and decided to look in the catalogue... I nearly had a heart attack!! The ones I liked (a nice print that is current and didn't look like it belonged to my great grandmothers couch) was over $60 PER panel!!! Can you believe that?? For my dining room it would have cost me $240 before shipping and that doesn't include rods and tie backs! I was discouraged. Who do I call when I am planning a new decorating adventure? Mama, that's who! I called up my mom and she simply says "Well then...order the fabric and make them." DUH!! See that's why I call her. I have never made curtains before but I went ahead and ordered my fabric anyway. I got it all shipped for around $80!! I cut and measured the length I needed and surged my edges. 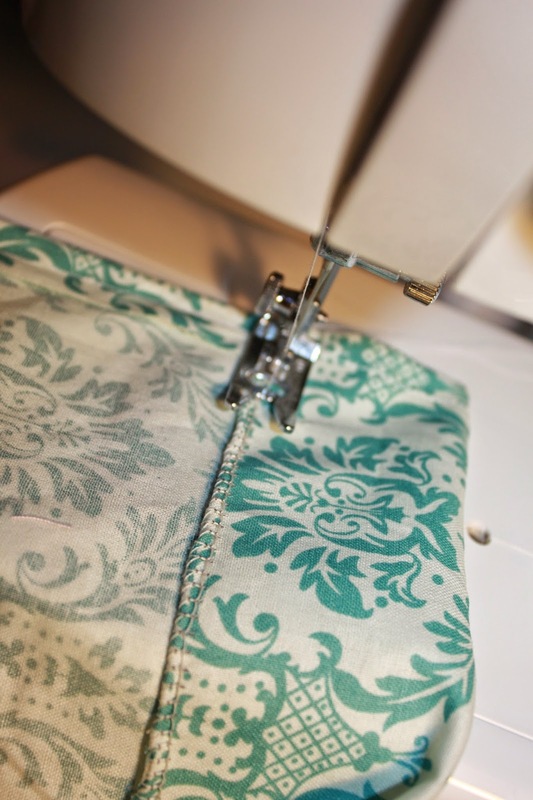 Then when all the sides were sewn in to create a hem I folded down my top portion to make a rod pocket. After that I took each panel out to the living room, laid them down flat and made sure they were the same length. Once I had them all the same I sewed in the bottom hem. My wonderful mom came over to help hang the rods and when my curtains were done I hung them up. I instantly loved the two side windows but not so much the big picture window. See I had only bought the one set of tie backs thinking I would like the look of them hanging on the main window...WRONG! Because they didn't go right to the floor it just looked off. A few days later I went back to buy the other tie backs. I like them much better now. You'll have to excuse the lighting in this picture, It was taken at night so you cant see the beautiful sun peaking through. I love the fabric choice and all the little accents with the rods and tie backs. The room looks so cozy now. Here is a before and after of the room. 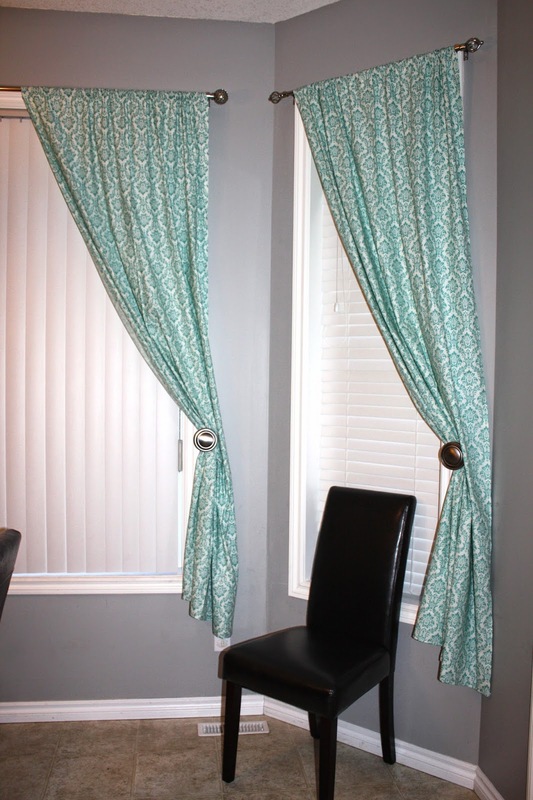 I have to say, I am pretty happy with my first attempt at curtains.